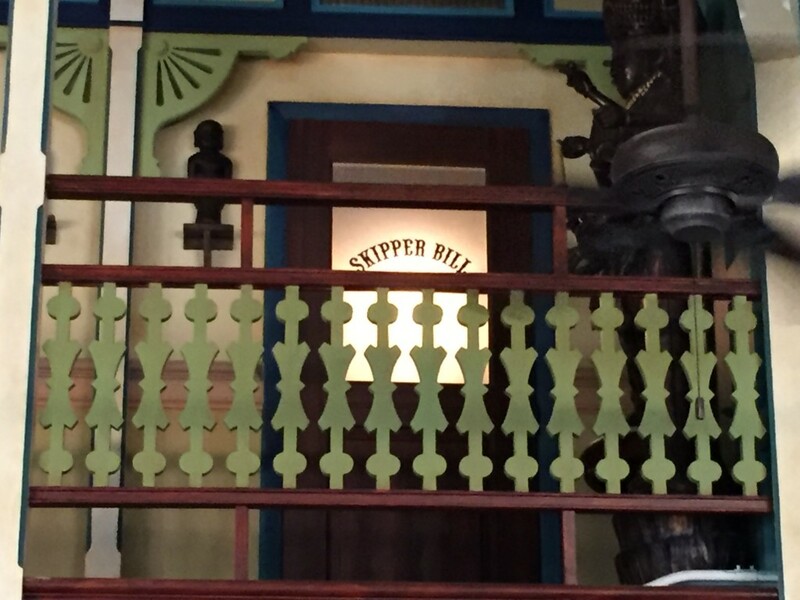 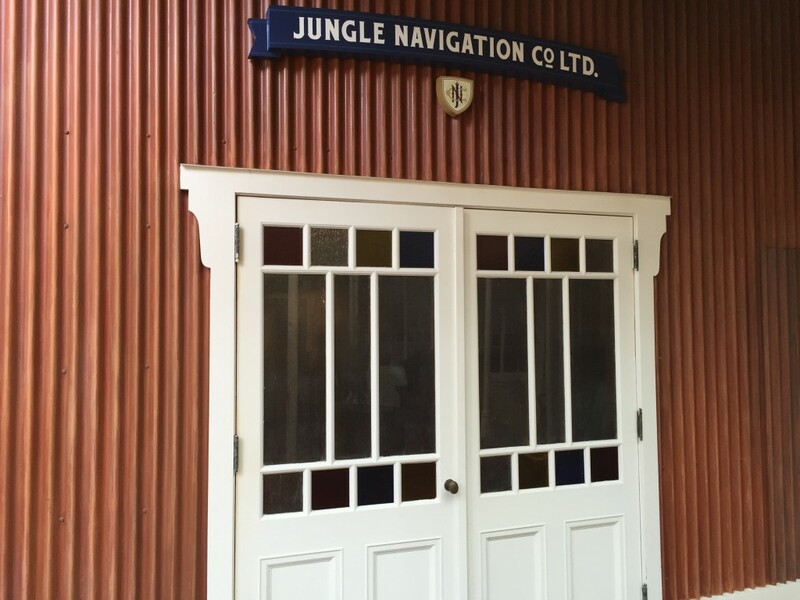 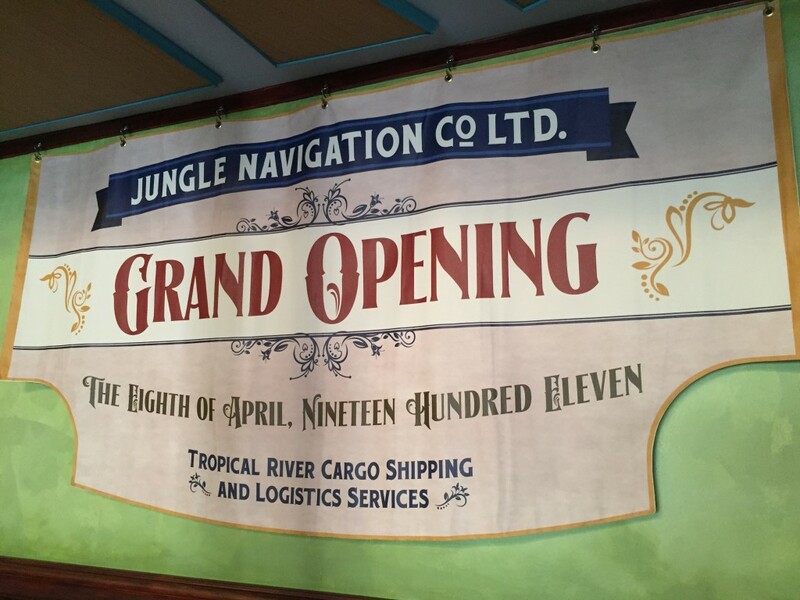 In August during a Jungle Cruise panel at the D23 Expo in Anaheim, the first word of the Jungle Navigation Co. Ltd. Skipper Canteen made us wiggle our ears more than the beloved hippos along the river. 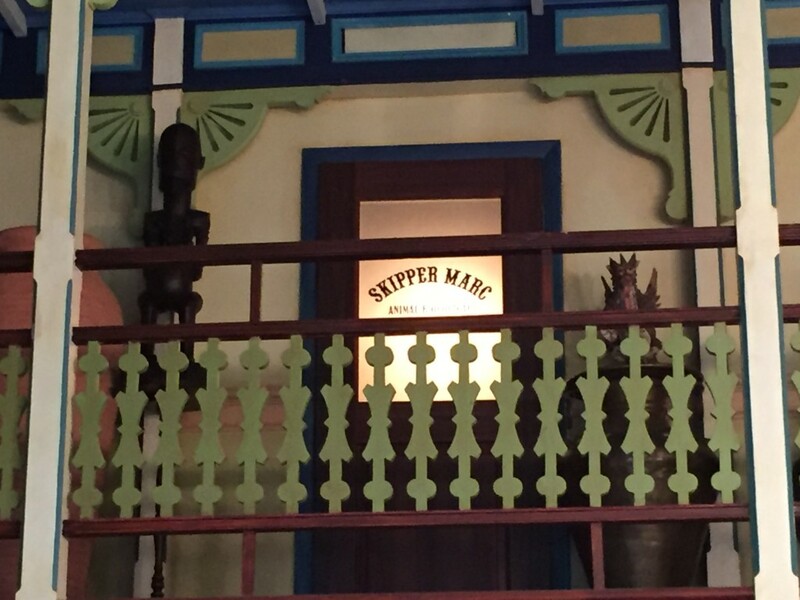 On December 16th guests at the Magic Kingdom had their first chance to see where the skippers work when not on the rivers of the world. 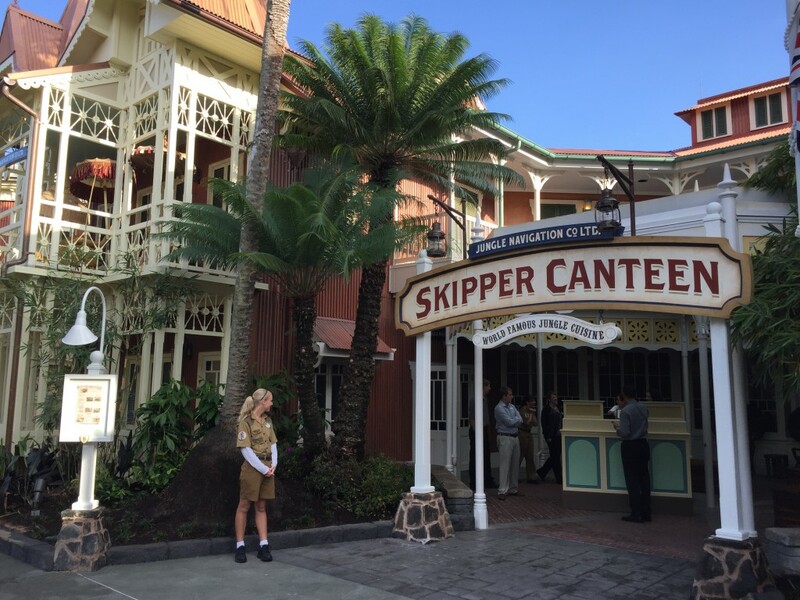 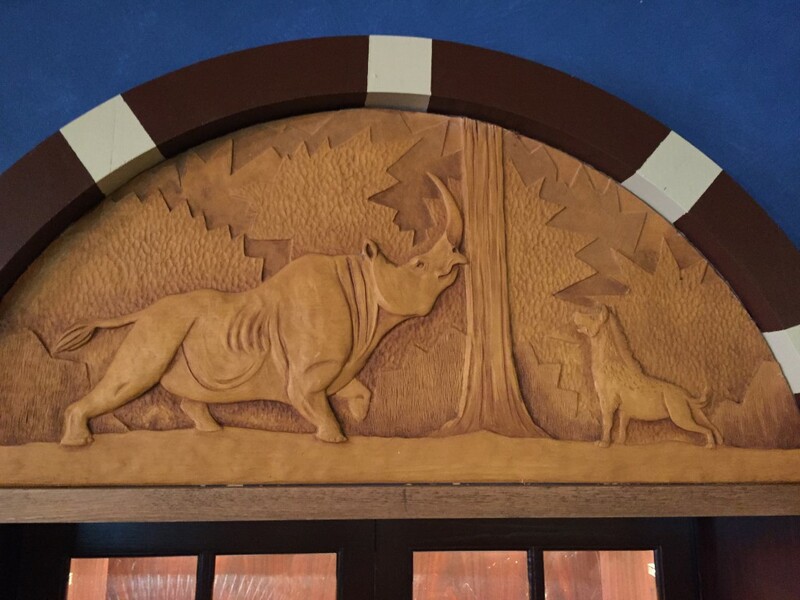 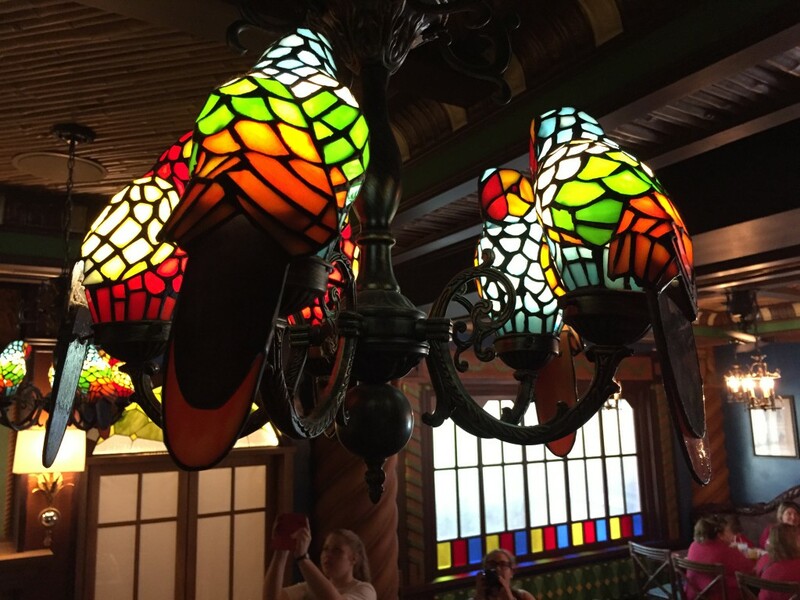 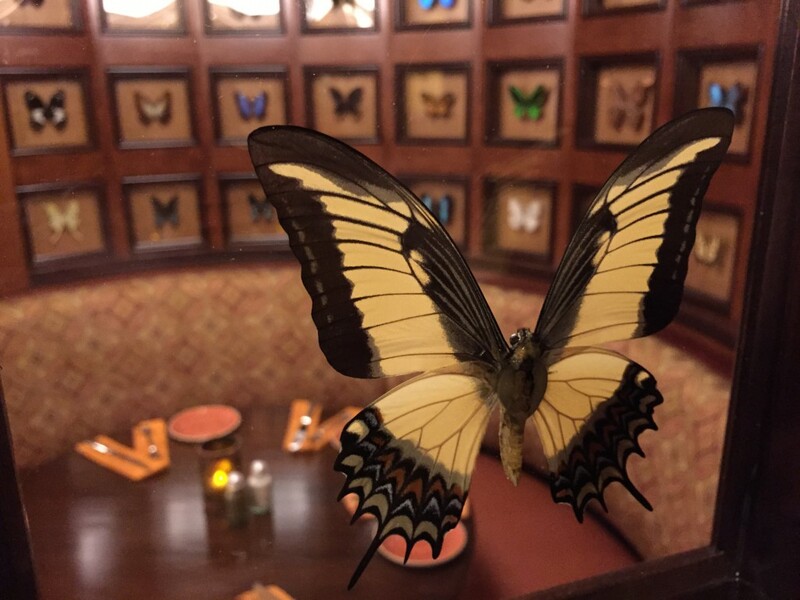 This beautifully themed dining location, just feet away from the Jungle Cruise that inspired it, contains three different dining rooms that can seat up to 222 guests for lunch and dinner. 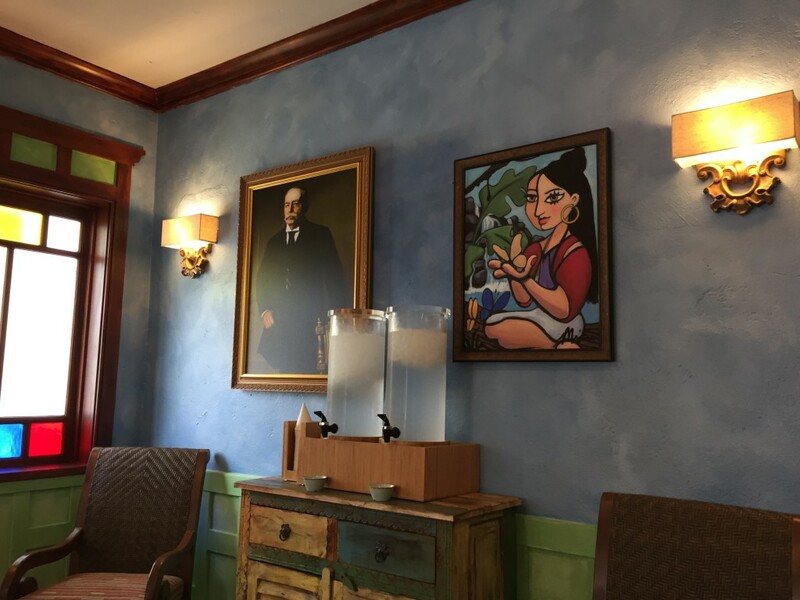 Being one of the only walk-up dining locations left in any of the Walt Disney World parks, they thankfully also have the ability to text you when your table is ready. 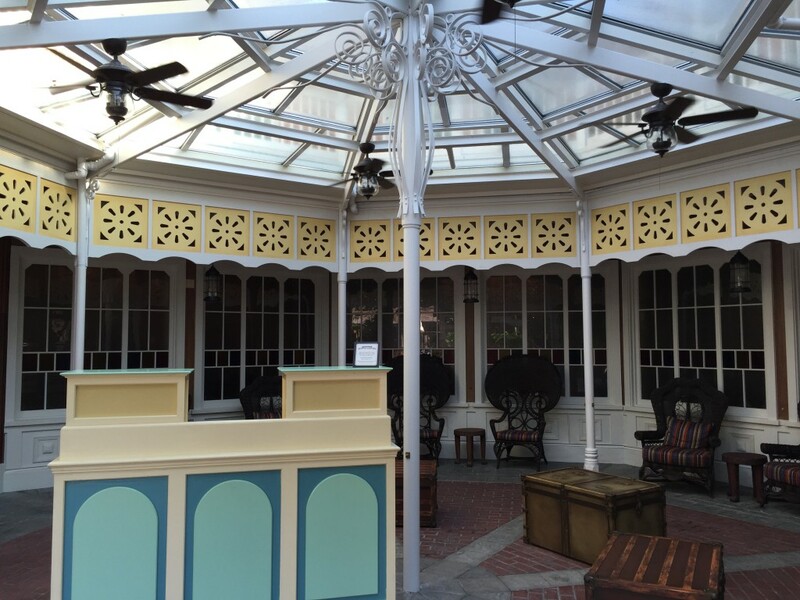 However, if you want to wait, this location has a beautiful and comfortable indoor and outdoor seating area. 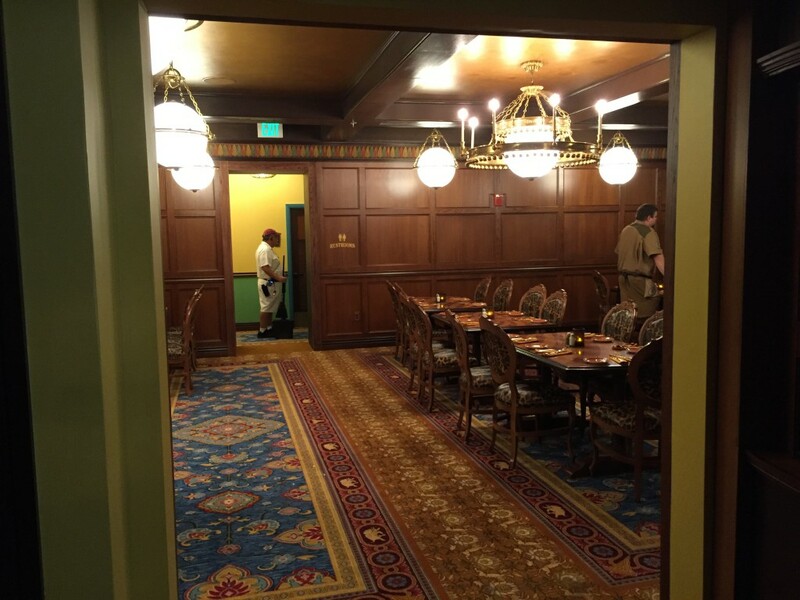 Once it’s time for your meal, you could be seated in one of the three dinning rooms, the first and largest is the crew mess hall. 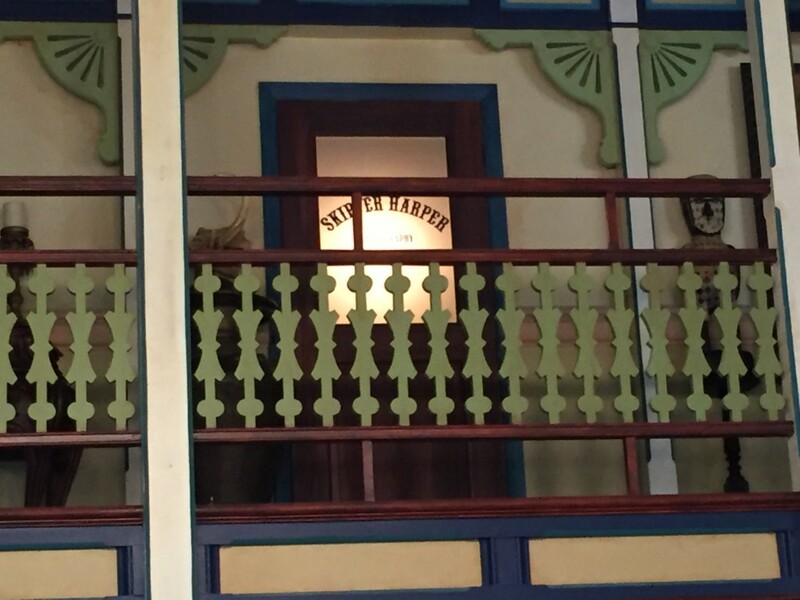 The hall is watched over by the offices of three of the men who shaped the Jungle Cruise as we know it: Skipper Bill (Evans) who was the head of landscaping for the Disney parks for many years, Skipper Marc (Davis) who is responsible for almost ever sight gag on any classic attraction, and Skipper Harper (Goff) who helped design the look of the original boats. 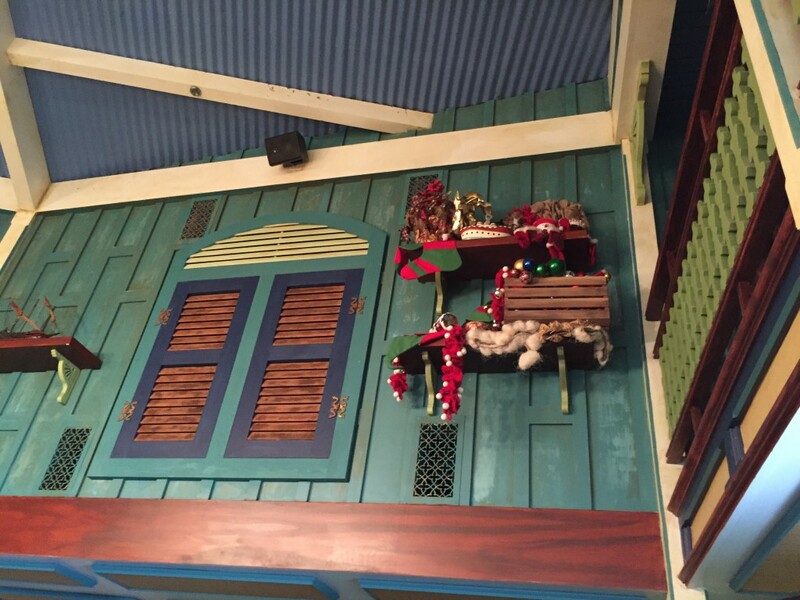 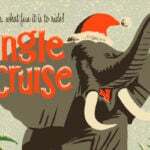 The mess hall also includes a few decorations left over from the Jingle Cruise along with a few other bits of fun Jungle Cruise tidbits. 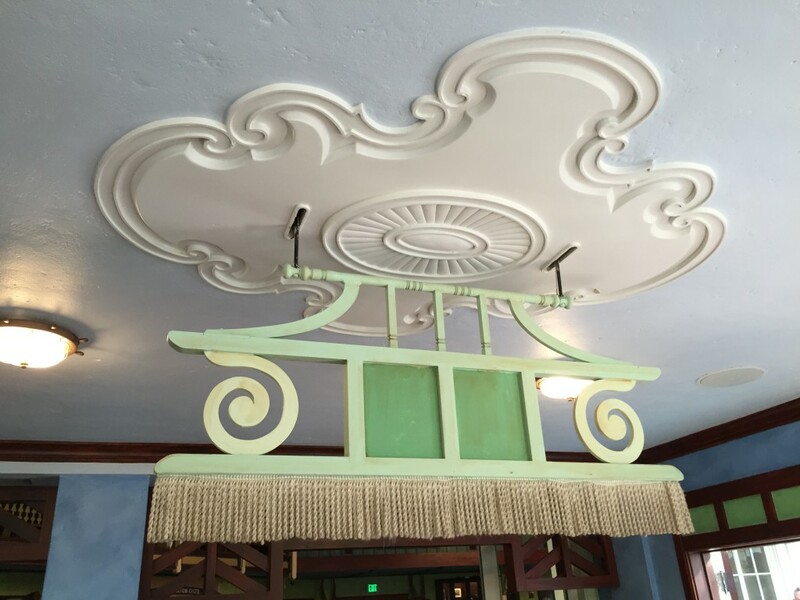 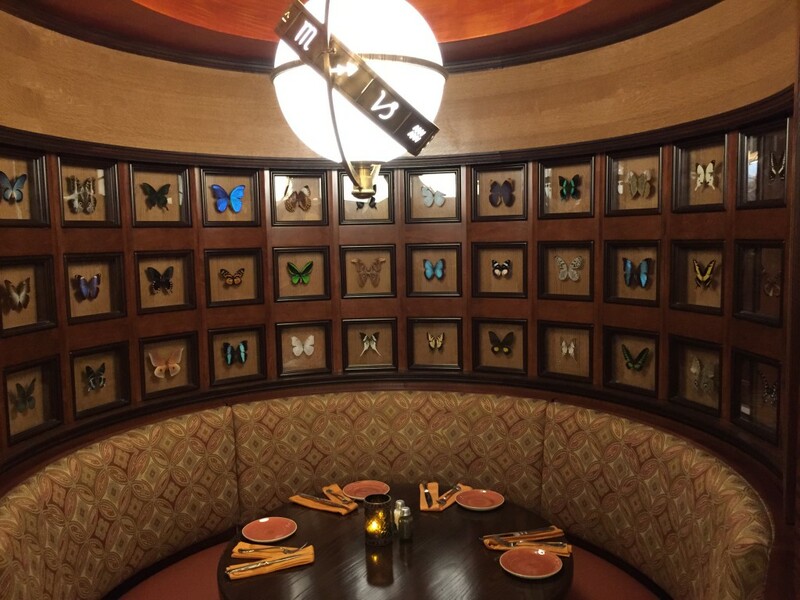 The other two dining areas are even more stunning and covered with details that will take many visits to see all of. 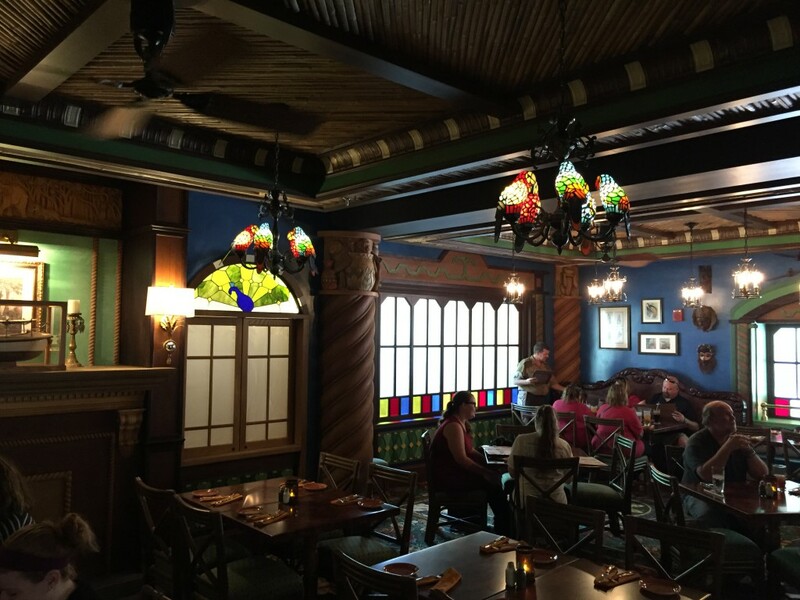 The “jungle room” parlor is the most cramped of the three areas but is one of those rooms where you can get lost in the beauty. 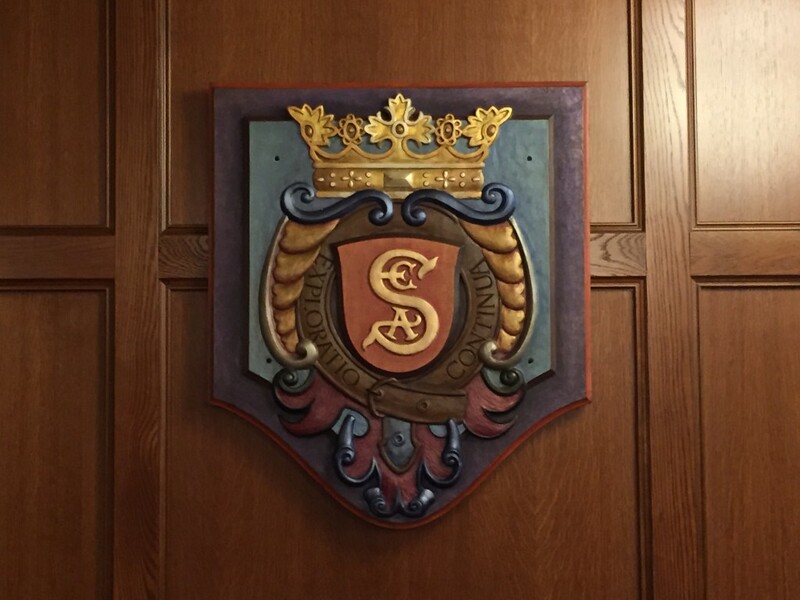 The final dining room is the former S.E.A. 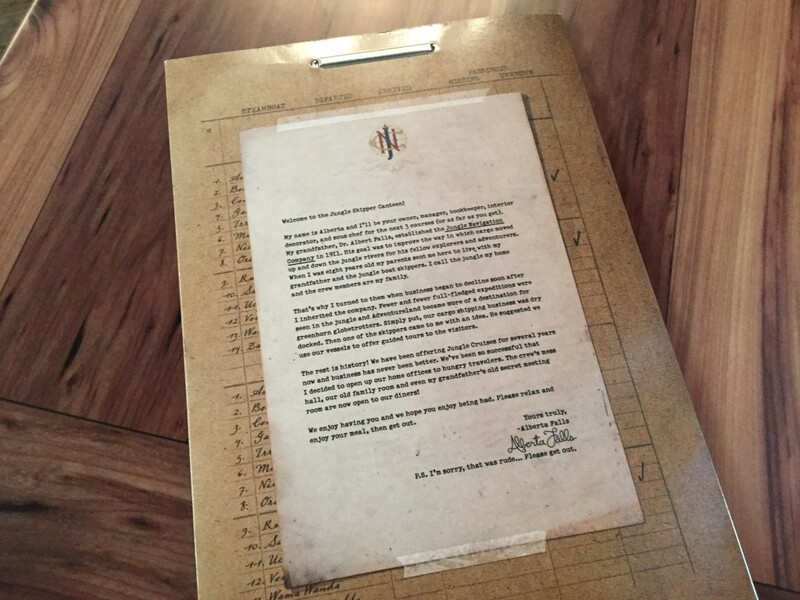 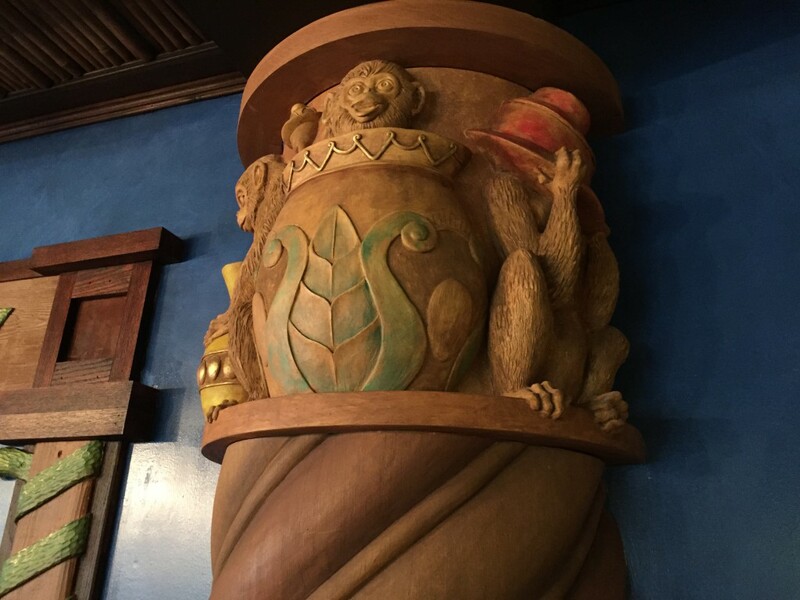 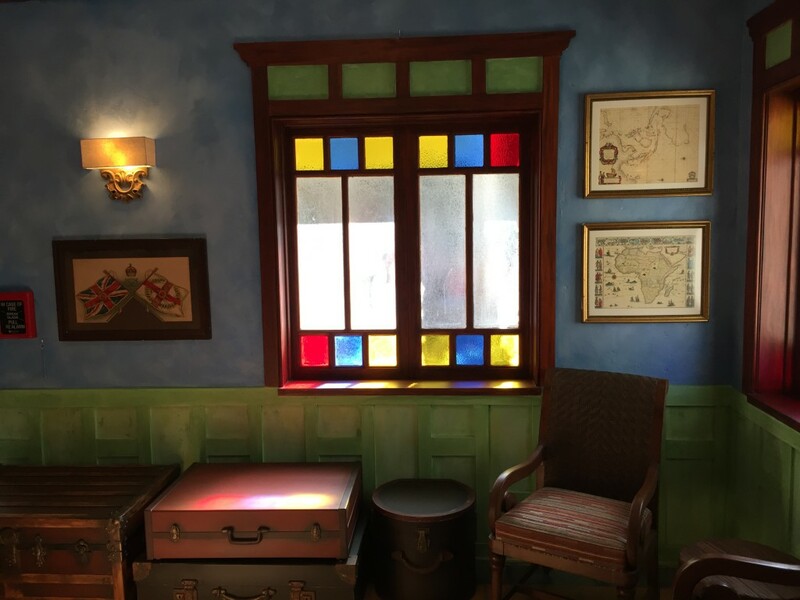 (Society of Explorers and Adventurers) meeting room that is hidden behind a secret bookcase that the first guests of the day help open by pulling on, what else, The Jungle Book. 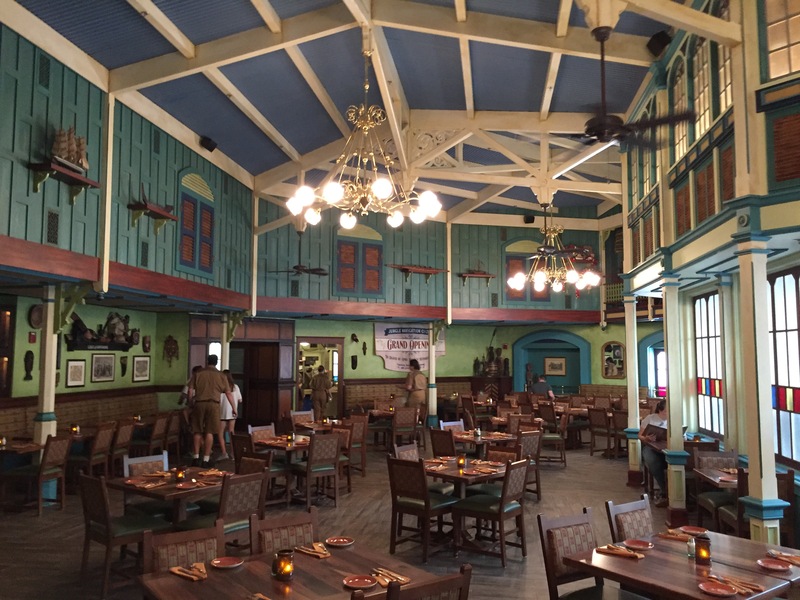 Now that we have talked about how amazing the location is, let’s talk about the food. 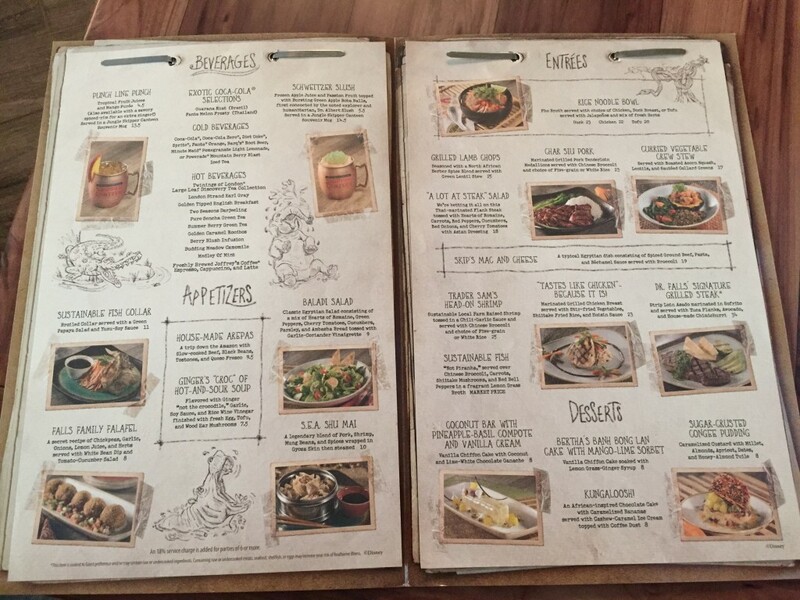 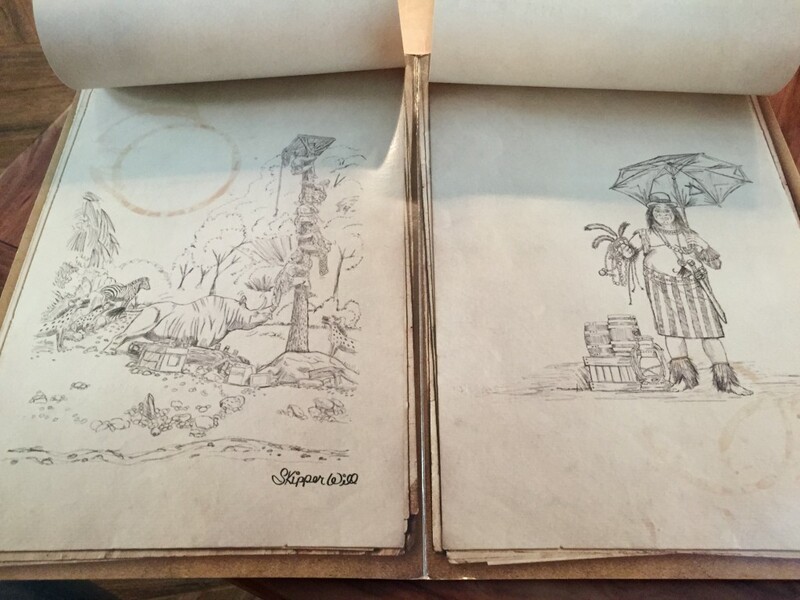 The menu, as you can see, is inspired by the exotic locations of the Jungle Cruise which people will either love or, as I saw a lot of, look at the options and keep walking past. 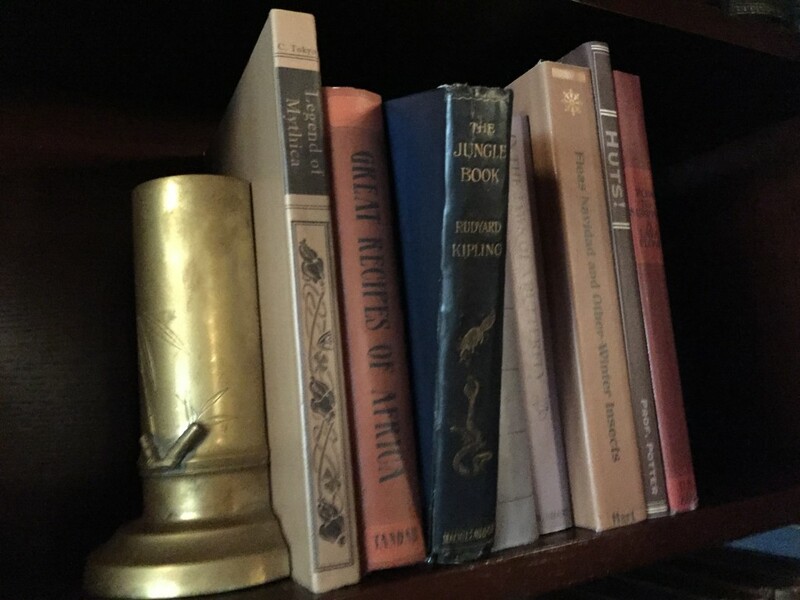 I don’t often give food reviews, but the items that were had by my party were okay at best. 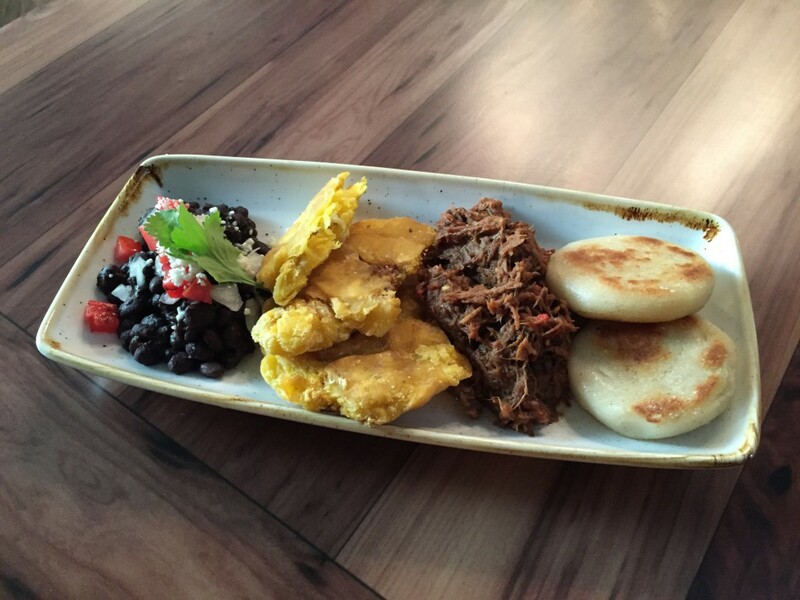 The house-made Arepas appetizer was tasty and gave a few different tastes and I would definitely try them again. 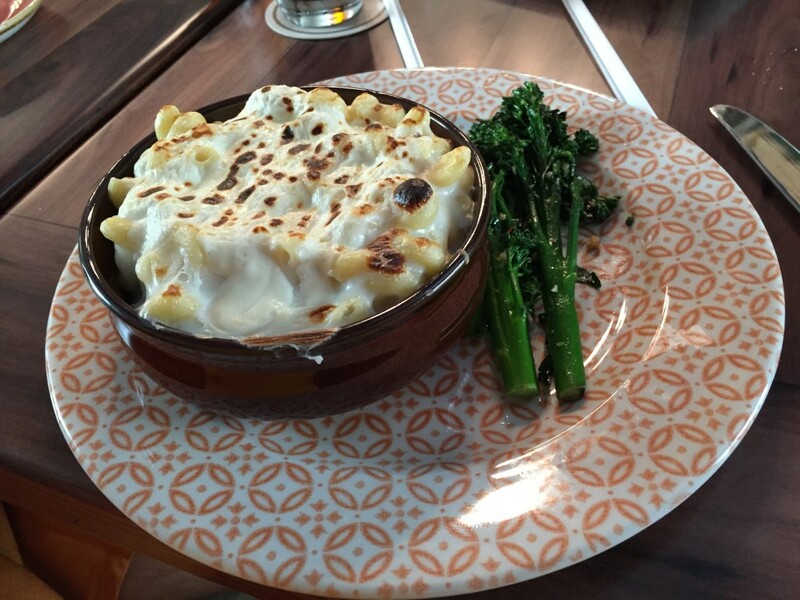 The Skip’s Mac and Cheese, as a person put it, tasted like chili mac you could buy at your local supermarket and the Char Siu Pork was bland and tough. 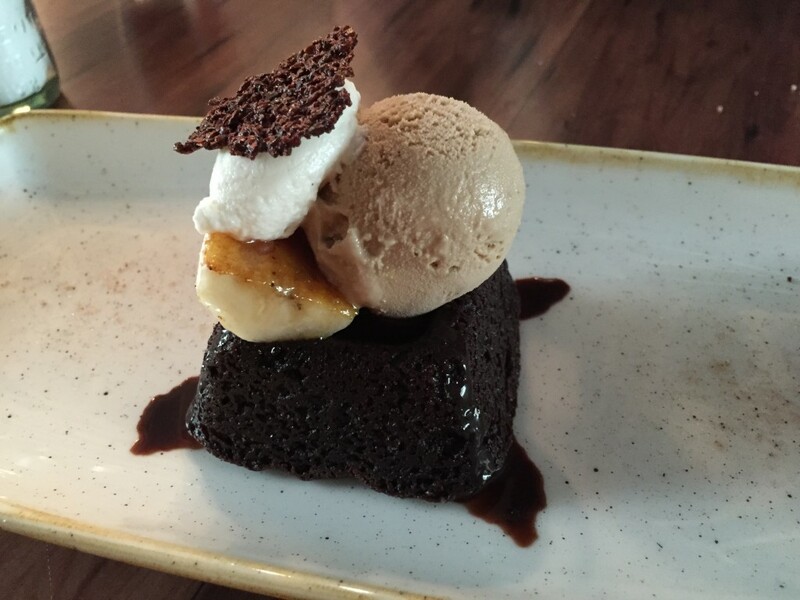 The stand out part of my meal had to be the Kungaloosh dessert. 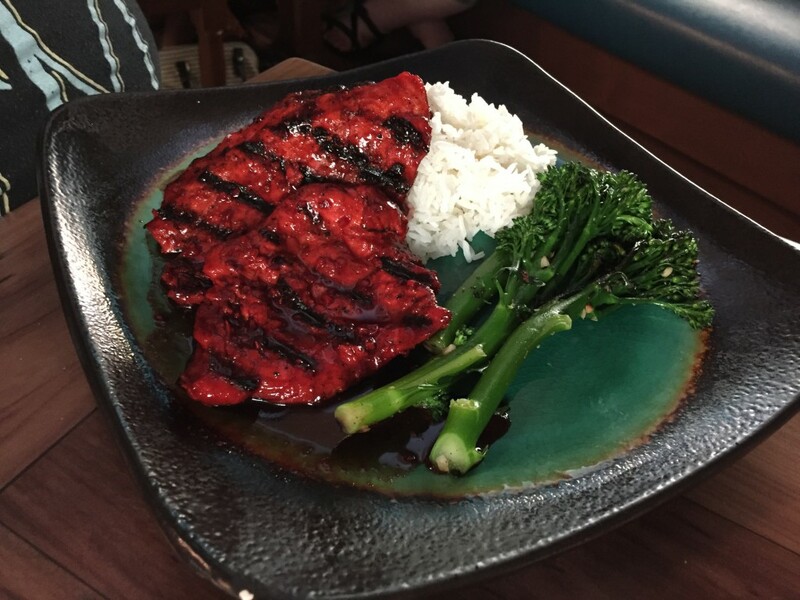 While it was a small portion, it had a standout taste that will drive me back to the location many times in the future. 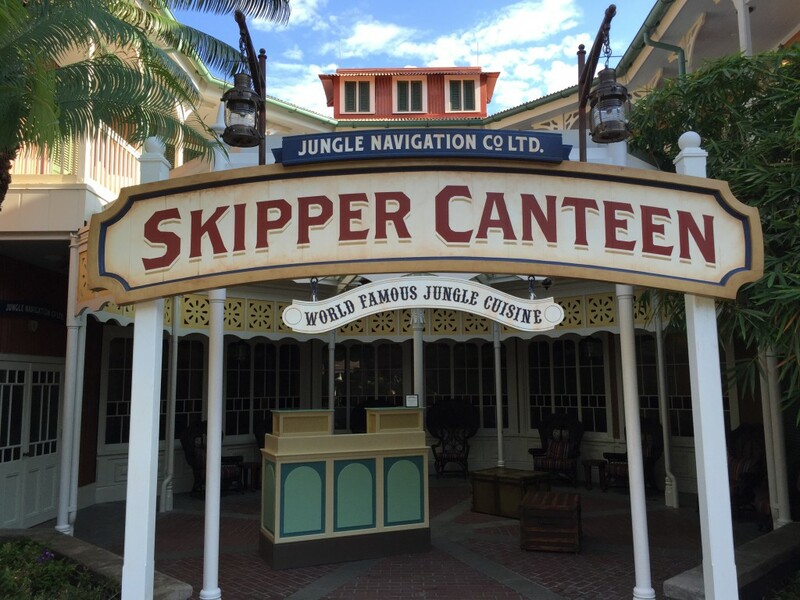 My overall opinion of the Jungle Skipper Canteen is that it’s just okay. 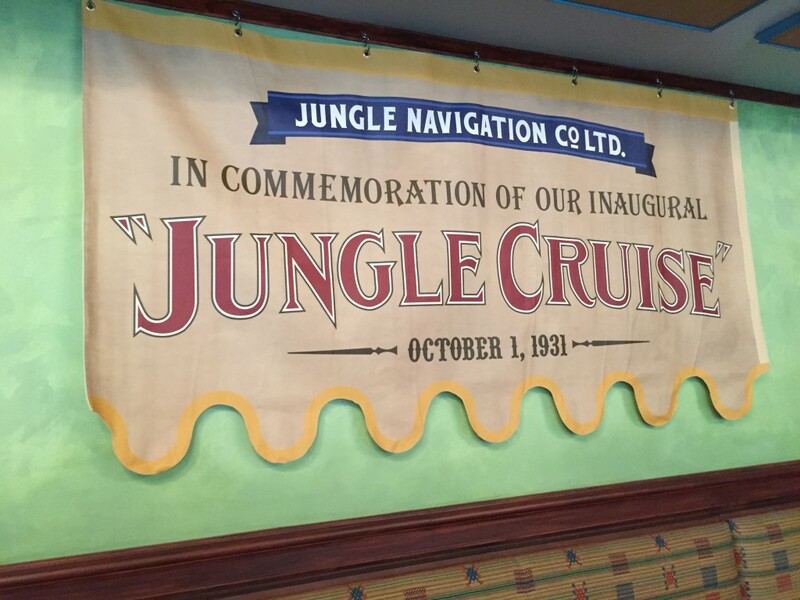 The location and theming are A+ but food and cost (those four plates and two Cokes equaled $70) is a C-. 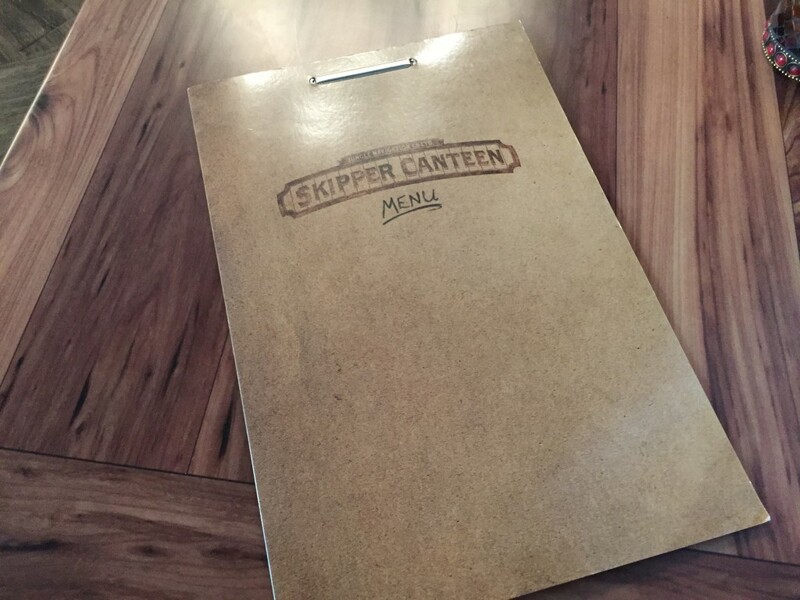 I don’t see the menu staying as it is today due to guests just not seeing anything that jumps out at them (as I saw first hand while standing outside), but give it a try if for nothing else than some amazing jokes to be heard from the skippers. 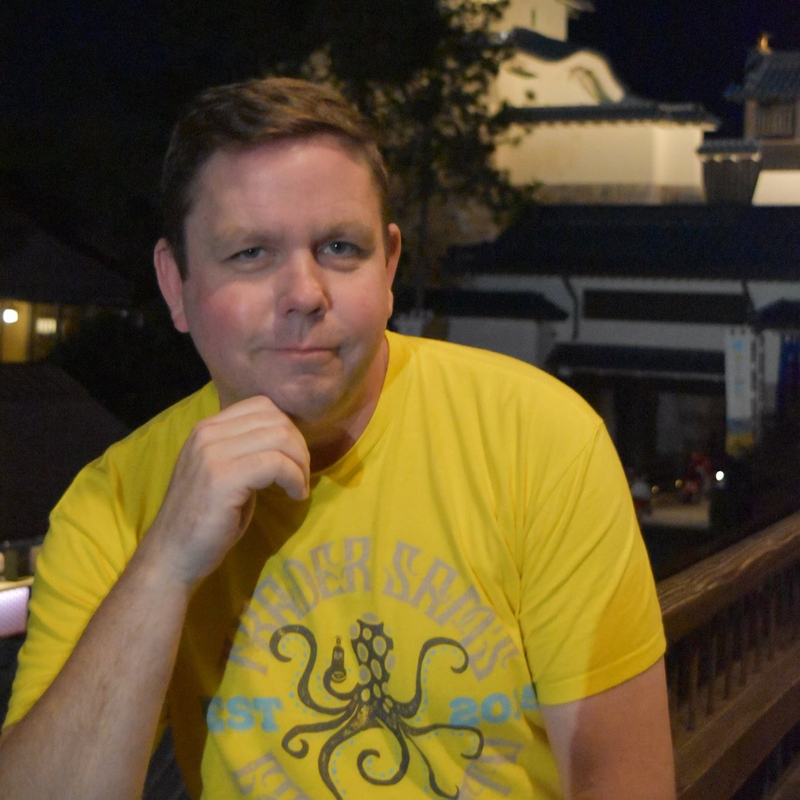 Our main correspondent for Walt Disney World and the Orlando area and a heck of a paleontologist if he does say so himself. 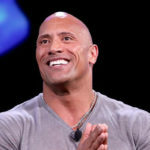 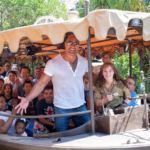 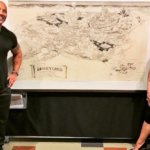 What is The Rock Cooking for the Jungle Cruise?